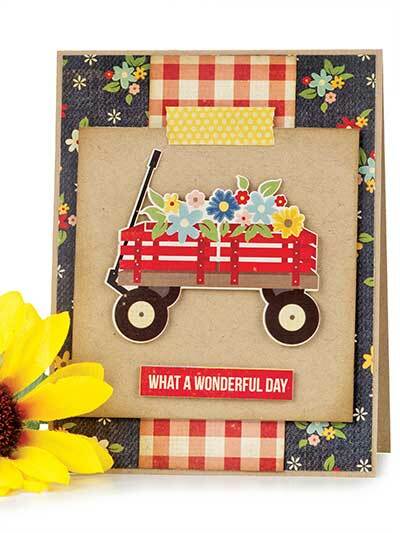 Celebrate her birthday with a wagonload of flowers delivered to her mailbox. Colorful stickers make this design a breeze to craft! This e-pattern was originally published in Quick & Easy Cards. Stamps not included. Size: 4 1/4" x 5 1/2".